Back Roads Wineries Holiday Open House Scheduled for December 7, 2013! 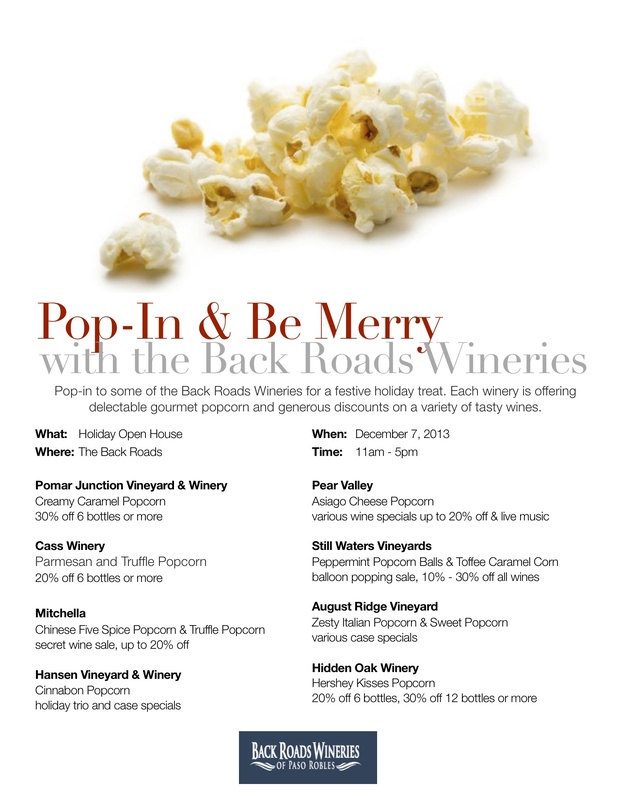 Pop in and be Merry with the Back Roads Wineries! Pop-in to some of the Back Roads Wineries for a festive holiday treat. Each winery is offering delectable gourmet popcorn and generous discounts on a variety of tasty wines. Saturday, December 7 from 11:00am to 5:00pm. Treat yourself to a day off from the hustle and bustle of the holidays and enjoy a day of wine tasting in the Back Roads of Paso Robles. Fun way to get some of those holiday gifts taken care of too! 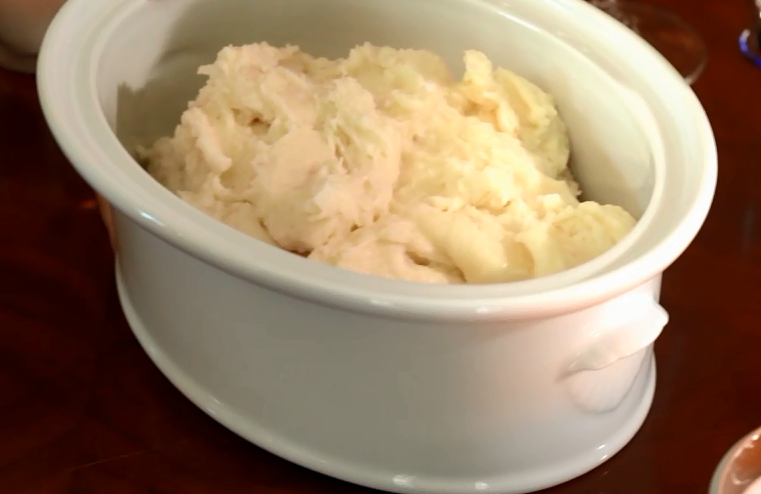 Growing up, one of the items on the Thanksgiving table at my great grandma’s house was always mashed taters with buttermilk! Great mashed potatoes hate recipes. Although the amounts here will make a fine mash, you’re better off with these simple formulas. Try to hit a 2 to 1 ratio of russets to reds (by weight) and have at least 1/4 cup of dairy per pound of potatoes. You may not use it all, but it’s good to know it’s there. As for the garlic, use your best judgment. As soon as the water comes to a boil, remove the lid and reduce the heat to a simmer. Cook for 15 to 20 minutes or until a potato chunk can easily be crushed with a pair of tongs. Drain, then return potatoes to the pan, return pot to heat and shake for 30 seconds so the surface water can evaporate. Remove pot and set on a towel or hot pads. Pour about half the garlic mixture into the potatoes and mash with an old-fashioned potato masher. Start tasting and looking at the consistency right away. If mashers seem dry or bland, add more of the garlic mixture. Avoid over mashing or you’ll end up with gluey instead of fluffy. Serve straight or garnish with any of the following: parsley, chopped scallions, crumbled bacon, sun dried tomatoes, (If you have the dry ones, make sure you re-hydrate them.) grated horseradish, horseradish sauce, pesto, more bacon, sauteed mushrooms…use your imagination.